Fishing rod is made from carbon fiber, strong and durable. With the features of good elasticity and strong heavy capacity. Portable closed length design for conveniently carrying around. 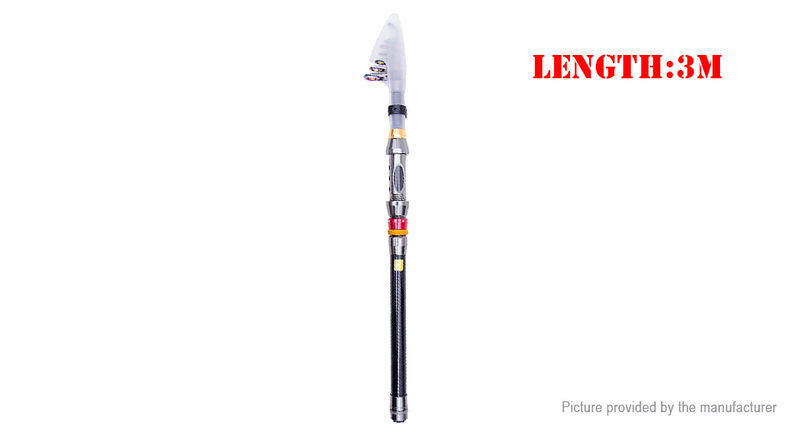 Adjustable length fishing rod for situations where full-size fishing gear is inconvenient. Best suitable for fishing from the shore, reefs and rocks on trips and vacations.